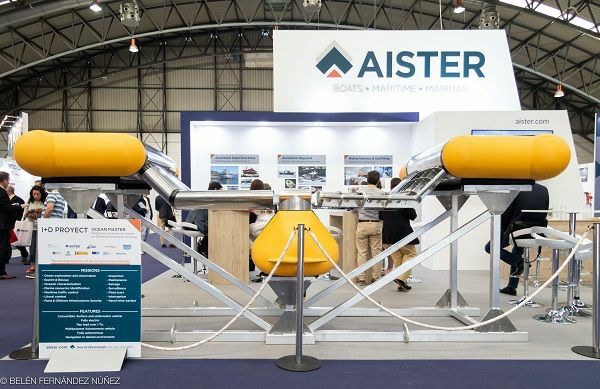 In AISTER we are proud to announce that the Ocean Master drone, of the consortium formed by AID, AISTER, ELINCO, GHENOVA AND SAES, has been awarded at the FINE prizes, held at the Worldwide Maritime Week in Bilbao in the category “Best maritime engineering project for 2019”. The criteria taken into account by the jury at the time of making the decision have been the use of innovative materials for its construction, the improvements and benefits that would originate the drone as well as the value it provides for the society and of the marine industry. 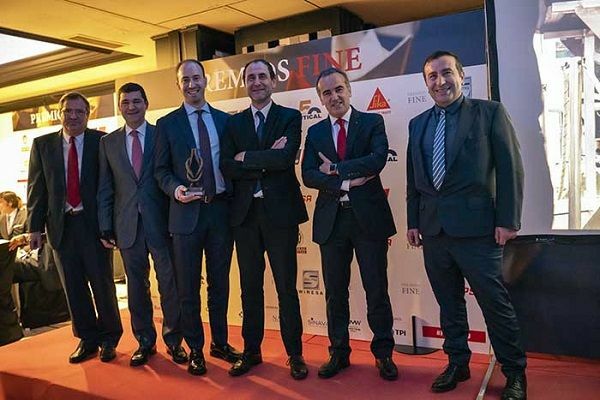 The award had given by Navalia’s director, Javier Arnau, to the representatives of the consortium and in the delivery were present the principal managers and personalities of the sector (Shipowners, associations, shipyards, etc.). 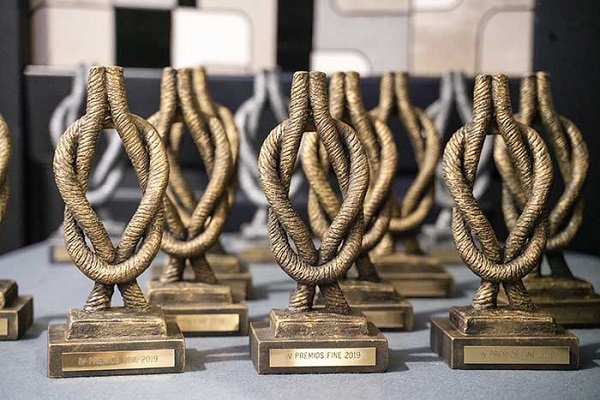 Grupo TPI and Rotacion magazine were the entities that convened the IV FINE 2019 PRIZES. These awards aim to promote the social recognition of companies, institutions and professionals in the maritime sector, and disseminate the performance of their work at the service of society and the Spanish maritime industry. A work that helps to promote the economy and the development of the sector. 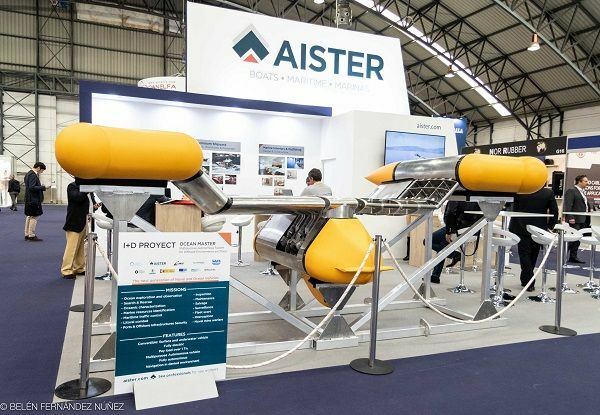 The Ocean Master project (MULTIPURPOSE AUTONOMOUS SYSTEM FOR DIFFERENT ENVIRONMENTS AND ROLES) consists of design, develop and validate an unmanned multipurpose marine vehicle capable of performing missions in complex and highly environments. In this way, a new generation of disruptive vehicles capable of providing great capabilities to its users, civilian or military, would be developed. Some of its missions are ocean exploration and observation, search and rescue, oceanic characterisation, marine resources identification, maritime traffic control, littoral combat, ports & offshore infrastructures, security inspection, maintenance, surveillance and interception. 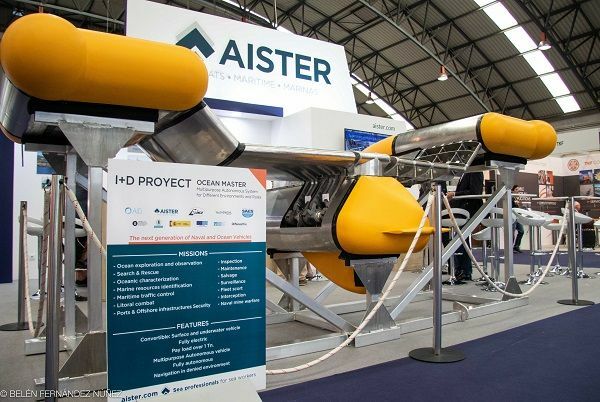 OCEAN MASTER project has been selected in the FEDER INTERCONNECTA 2015 call and is co-funded by CDTI (Ministry of Economy and Competitiveness) and FEDER funds, throughout the Operational Programme for Smart Growth 2014-2020. It is developed in the regions of Andalucia, Galicia, Madrid and Murcia by a consortium composed of the companies: ELINCO, AISTER, GHENOVA, AID and SAES.